Nokia has a cool Maps platform with APIs that cover several platforms. 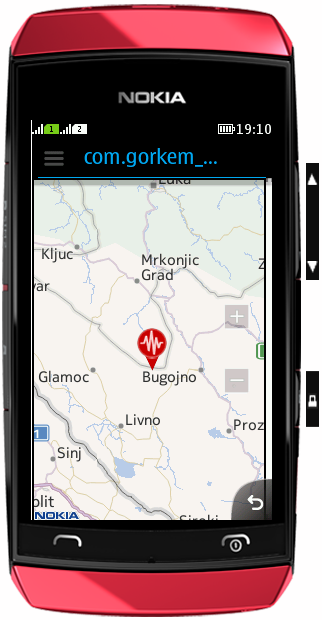 Maps API for JavaME is one of those APIs. It is a quite well documented API especially for using with vanilla JavaME UI components (namely LCDUI Canvas). However, when it comes to JavaME applications, using a third party UI library instead of the vanilla JavaME UI components is a more common approach. Since Nokia has chosen to port LWUIT to Series 40, I have naturally decided to create a small API to make it easier to use the Maps API with LWUIT. The API is available on github. 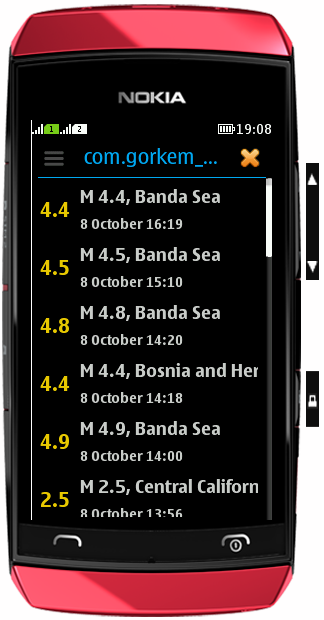 Repository also includes an example application that lists earthquakes on a list and map (see screenshots ). You can also find instructions that can get you started with the API quickly on the project's wiki. Furthermore, if you find bugs please do report them on github. If you want to improve the API or the example feel free to do that as well (that is why it is open source and hosted on github). And if you find the API useful drop a comment here.